It seems that when a restaurant advertises the fact that it’s been around for decades, said establishment often sticks to decor associated with a set time period in American history. But that doesn’t appear to be the case with Theo’s Restaurant in downtown Cambridge. The bar area of one of the dining rooms. Remnants of the eatery’s original purpose still survive, such as a Coney Island hot dog menu in the far dining room. 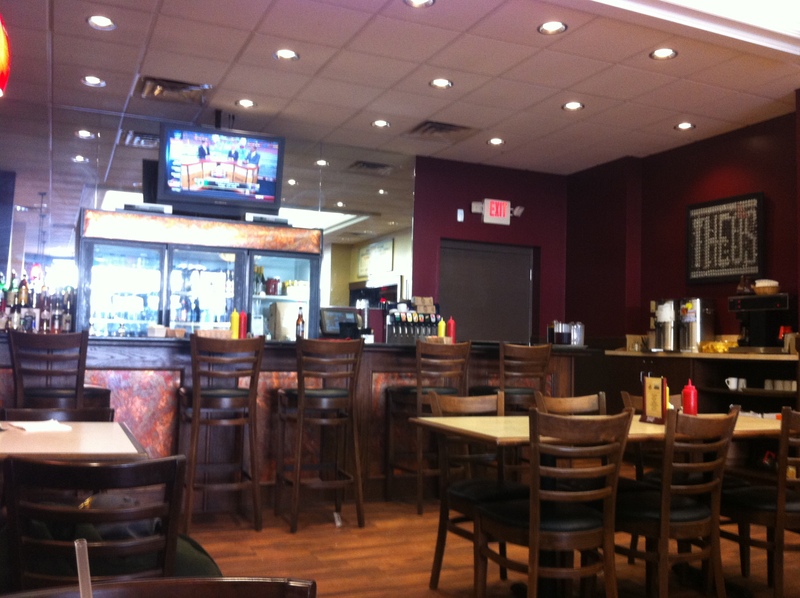 The restaurant also has retained the locally-famous Coney Island dogs on its menu. 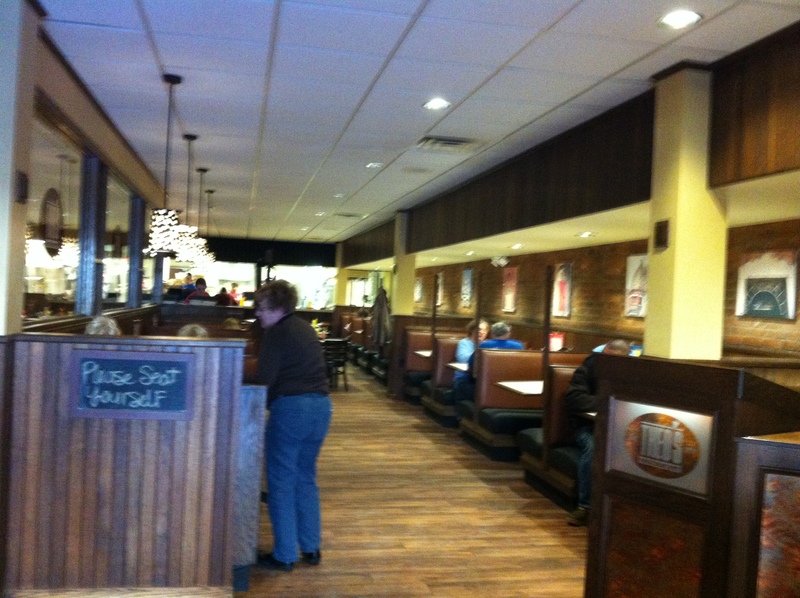 I was able to stop in for lunch on a recent trip to Indiana, and I was thoroughly impressed. The interior is large, and divided into two distinct dining rooms, one of which contains a bar. 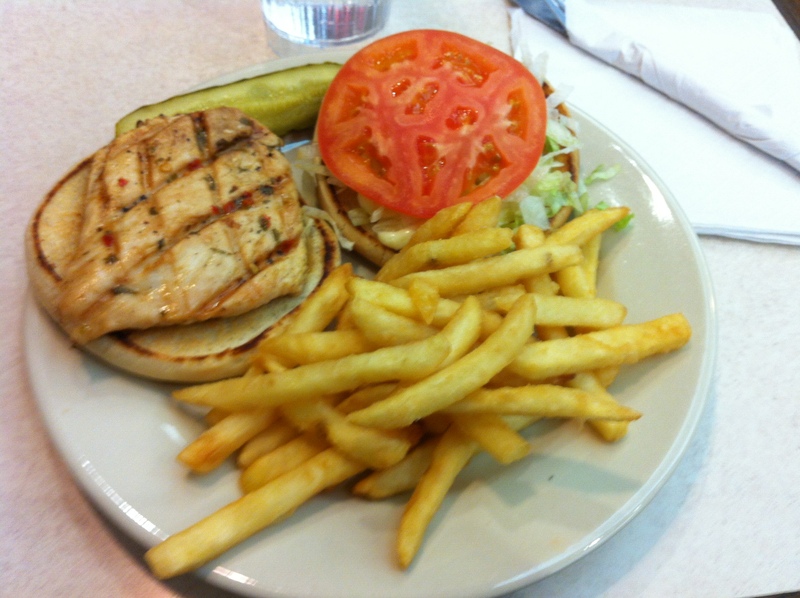 I had the “moist and sassy” version of the grilled chicken breast sandwich (I tend to be a sucker for menu items that are given a weird name). This version of the sandwich features the chicken marinated in a wine, olive oil, lemon and spice blend, which honestly was one of the best marinades I’ve ever had – not too sweet, not dripping wet and not hot. The grand total for my sandwich, fries and drink was under $7. The “moist and sassy” version of the chicken sandwich. Theo’s seemed really down-to-earth, despite the fairly modern decor. The staff was all very friendly and made sure everything was satisfactory. The other thing I really liked was the variety on the menu. This isn’t just an average sandwich and fries place. For example, one of the specials the day I visited was halushki – a Hungarian entree based on soft noodles and cabbage. The Theo’s recipe included ham. 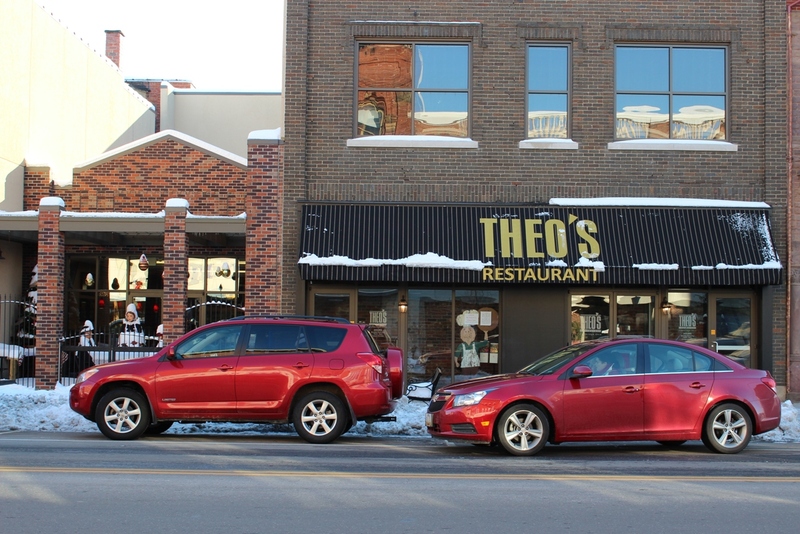 Theo’s is located at 632 Wheeling Ave., right in downtown Cambridge along U.S. 40. It is open Monday through Saturday, from 10 a.m. to 9 p.m. Daily specials and the regular menu are updated on the restaurant’s website. Parking is available on both sides of Wheeling Avenue in Cambridge, and is free for two hours – plenty of time to eat. 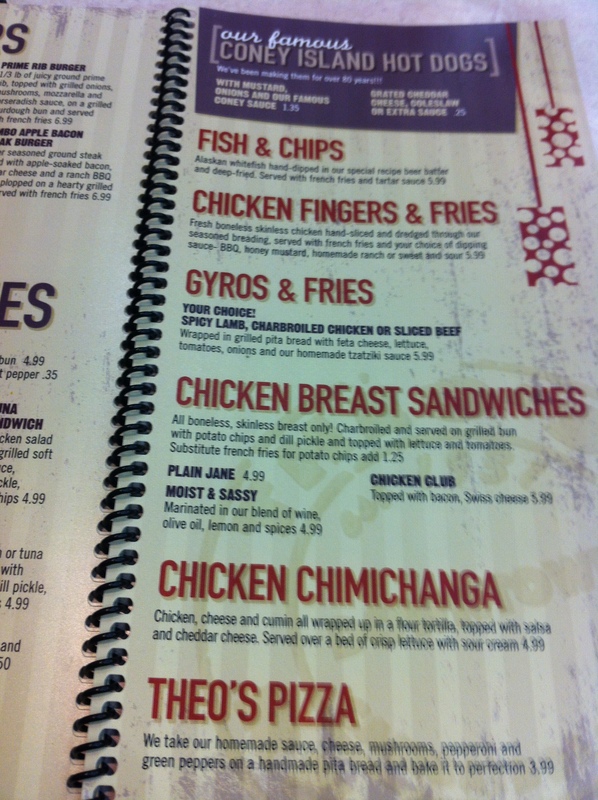 Theo’s can be reached at 740-432-3878. A page of the menu. 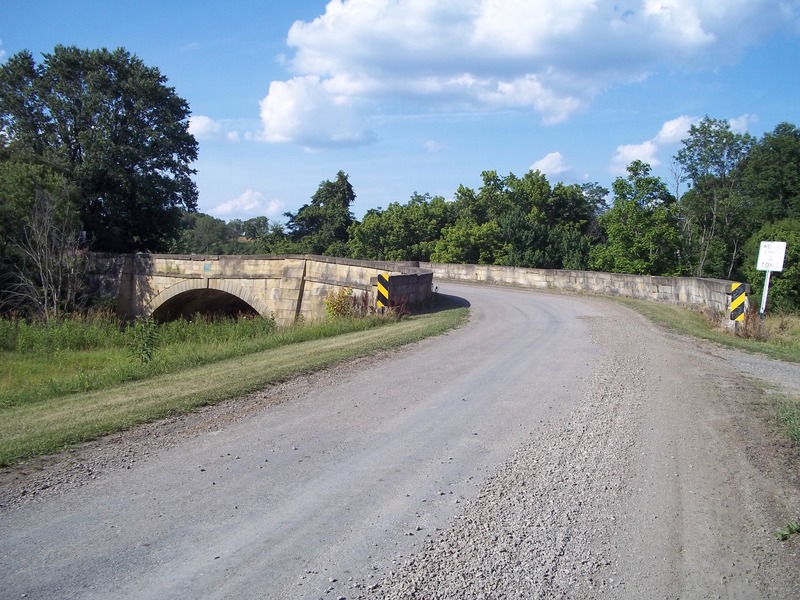 One of the four ‘S’ bridges along the National Road in eastern Ohio is found along an extremely rural and low-trafficked stretch of road east of Old Washington, Ohio. 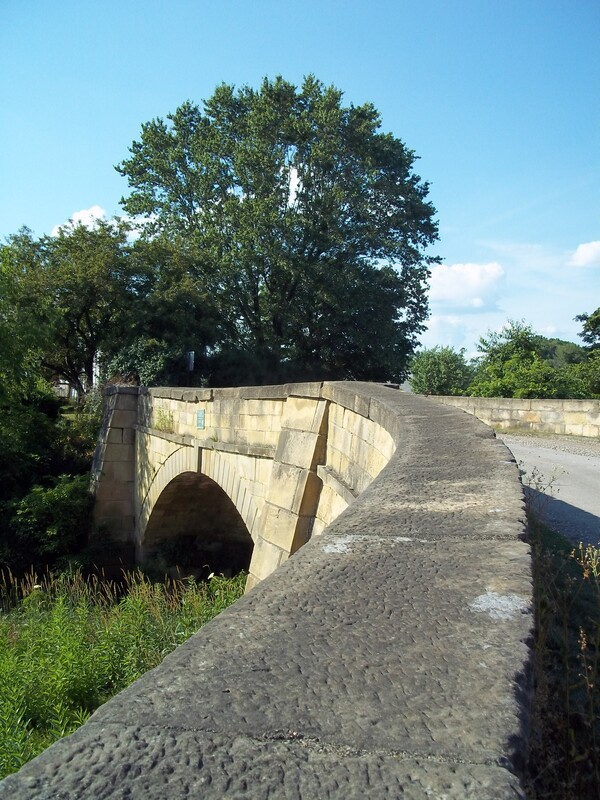 The bridge was built in 1828 to cross a small creek, and like all the S bridges, was bypassed in the 20th Century. In the 1960s, the bridge was declared a National Historic Landmark. Unlike a similar structure in Washington County, Pennsylvania, vehicles are still permitted to cross this bridge. This bridge is along a stretch of road now named Bridgewater Road. The bridge itself is part of Blend Road, which is an older section of the National Road paralleling Bridgewater Road. There’s no set area to park and walk around, but because of the very low amount of traffic, it’s safe to park near the entrance to the bridge.